In this post, I’m going to experiment with paying to promote an event to a niche audience. Whether your event has a niche audience or a large one, we’ll see if it is worth the money. What better way to test it then with creating my own event. Why would you want to promote an event? As a Facebook page admin, you know that not all of your fans see your post, so paying Facebook would allow more of your fans to see your event. You have a lot of options when it comes to who you want to target your event to. 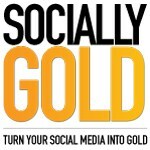 For my Google Hangout, I am only going to promote it to people who are connected to SociallyGold on Facebook. I am targeting 360 people who are likely to come and are connected to my SociallyGold Facebook Page. I have the option of targeting my event to all of Facebook if I wanted to. Facebook also allows you to set a daily budget or a lifetime budget. The minimum lifetime budget is $1/day. Now that I have my budget and date range set, I can hit Place Order. Check back for an update on this post for my recommendation on whether or not to pay to promote a post. I created an event, invited about 30 friends and decided to pay to promote this event for a $1 a day until the event starts. I created the event and the ad 4 days ago, and the results of the promotion did surprise me. I only targeted people who were connected to the SociallyGold Facebook page. My target audience was 380. The event did earn attendees outside of my initial invite list. Should I pay To promote My Event? To give a fair assessment of my answer, you’ll need to ask yourself a few questions about your event first.
. Am I targeting a niche audience? – My promotion was for a Social Media Hangout which only 9 people can attend. I wasn’t shooting for a huge audience, but the event did reach people who I didn’t initially invite, so I would consider that aspect a success.
. Are butts in the seats important to the event, or is it the quality of the event that’s important? – You could end up putting a lot of money towards promoting events, but answering this question should help you decide. 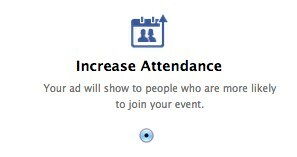 Also, once more and more people click “attending”, your promotion will show that story on more news feeds. Also, the more people who click your ad and attend your event, you’ll need to spend more money on the event because of the increased attendance. My event will not cost any more money, and will hopefully produce more income for me.
. How will you measure the return on your investment (ROI)? – I am measuring my ROI if the attendees sign up or refer a friend to my 3 week social media training. I would directly see income based on the monies spent on this ad. Having more attendees at an event may be considered a positive ROI if they continuously come to future events, bring their friends (who comes to events on their own?) and if they get involved in the organization. My hope is that giving away something for free (my time and knowledge) will build ambassadors of my brand, and more fans will come from those new ambassadors. Whether or not you should promote an event will depend on a few factors, but all in all, I would say it is worth the investment. Are you thinking about promoting an event on Facebook? Let us know in the comments so others can learn from you. Should I link Facebook and Twitter?